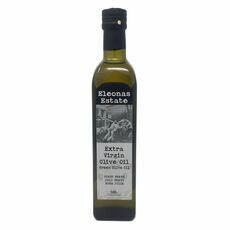 Eleonas Estate Extra Virgin Olive Oil is no ordinary olive oil, and is probably one of the finest extra virgin olive oils in the world. The olive oil is produced from a single estate, situated near Kalamata (literally translated meaning “good eyes,”) located in the Peloponnese in southern Greece. Kalamata has an olive oil PDO (Protected Designation of Origin) approved by the European Commission and is renowned as one of the top olive and olive oil producing regions in Greece. Eleonas Estate Extra Virgin Olive Oil is produced from the koroneiki olive varietal, from trees some over one hundred years old where the principal methods of extraction have not changed for thousands of years. A few of the olive trees could be between five hundred and a thousand years old! Some of the reasons why it’s so good……. Eleonas Estate is unique – situated close to the tranquil Messinia Gulf and overlooking the majestic Taygetos mountains that climb to over 2400m. The mountains remain snow capped for about six months of the year. The climate is mild with wet winters and dry, hot summers. In ancient times the area of Kalamata was mentioned by Homer and is in an area of outstanding natural beauty with crystal clear waters and beautiful beaches. The Messinian peninsula is bordered to the north by the Neda river – the only river with a female name in the Greek territory. But it’s not only the incredible environment that make our oil so unique; it’s our love and passion that ensure our oil is produced to the highest standards. We nurture and care for our olive trees throughout the year, taking care to use only the minimum amount of pesticides, where absolutely necessary and limiting the environmental impact, and using fertilisers specifically tailored to the individual health of the olive trees. We do not use poisons or weedkillers to control other plant growth beneath the trees and we meticulously groom the trees several times during the year to ensure an abundance of quality olives. We strive to make the finest olive oil. We harvest the olives often slightly earlier than other producers – we sacrifice yield for quality. It’s that fresh, clean, aromatic and long on the palate - slightly peppery taste we yearn for………it’s what makes our oil special! We press and harvest the olives on the same day and use new hessian jute sacks reducing the likelihood of disease and decay. We press with relatively new presses and store the oil in inox storage tanks that all help to maintain the quality of our extra virgin olive oil. In fact our extra virgin olive oil has incredibly low acidity - generally in the region of 0.2 - 0.3%. 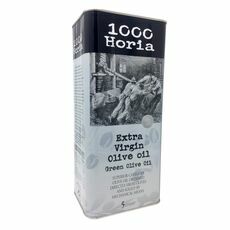 In order to be "Extra" virgin olive oil acidity has to be less than 0.8%. This alone could be viewed as making our extra virgin olive oil exceptional amongst even the finest extra virgin olive oils! But if the science and descriptions don’t persuade you…. "Taste it! - taste it on its own ......or with some bread." after all it’s the taste that really matters…. This is "Single" estate extra virgin olive oil - this means you know exactly where the olive oil comes from; how the olives are harvested and importantly how they are stored - we do not blend our oil or buy in oils that are of inferior quality. Annually, we rarely produce much more than 2000 litres of oil, and volumes vary from year to year with the climate; there is a limited crop and therefore limited supply…..
We are not just a "Single" Estate Extra Virgin Olive Oil we are a "Family" Single Estate Extra Virgin Olive Oil. The estate was bought by the Densem family more than 12 years ago and we have strived to produce the "perfect oil." Quality has always been the focus - price an after-thought! Start your own wine business? © 2018 RD Wines ltd.